Permaculture is essentially a holistic agricultural ecological design system. It involves the development of perennial agricultural systems that are based on natural sustainable environments. The word permaculture was coined by Bill Mollison, an Australian scientist and naturalist, as a combination of permanent and agriculture. However as human habitats and their social aspects are an integral part of a truly sustainable system, it is more accurately a combination of permanent and culture. Permaculture has three guiding ethics or core values. These have been distilled from both research into community ethics as well as traditional indigenous cultures that have existed in relative balance with their environment for much longer than more recent civilisations. I completed the Permaculture Design Certificate at Ecoforest in 2004, and have been applying some of these principles on my land since then. I just stumbled on your site and Permaculture caught my eye. I come from Kerala, India. I have certain amount of paddy land and with global prices going awry, rice is not a beneficial crop both for internal consumption and the commercial sense of it. I am not looking for a cash crop, but the demand for quality products is the need of the day – definitely it is a prerequisite across the globe. I was wanting to know if I could put the land available to this concept how would it help? Thank you for your question. It is not an easy question for me to answer, as permaculture is essentially site, client and culture specific. As an agricultural philosophy it is about the application of broad principles to specific situations, meaning that these principles when applied will produce very different results for each different piece of land. The idea is to work with nature (rather than against it), and the 1st design principle is to ‘observe and interact’ with the land, and as I am not familiar with your land and the agriculture of your area I would not be the best person to help you with that. I believe that permaculture has been applied with great effectiveness in Kerala, so as a method it would certainly be worth serious consideration for you, especially as you seem open to something other than a monoculture cash crop. 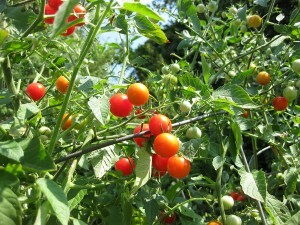 Permaculture is based on increasing biodiversity and using different varieties of crops that will benefit each other. I suggest you start with the excellent website Kissan Kerala, especially its crop information page. You might also want to check the Planetary Permaculture Directory on the Permaculture Activist website for other permaculture contacts in your area. With your interest in permaculture you are definitely taking a step in the right direction. I wish you all the best in your journey!